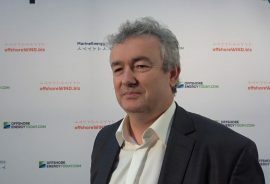 Watch the Expertise Hub video to find out more about what Jan de Nul is preparing for the future in renewable energy and next-generation turbines. 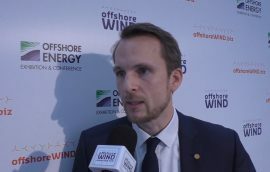 “Bringing floating substations to commercial feasibility and utilizing serialization, industrialization and innovation to reduce the cost of floating wind”, said Ole Stobbe, Business Development Manager Northern Europe at Ideol, while speaking about what the company aims to do with a grant it recently received. 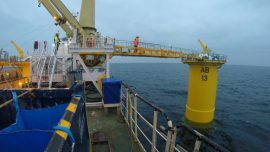 Bourbon Subsea Services has shared a video showing the installation of the first turbine at the 50MW Kincardine offshore wind farm in Scotland. 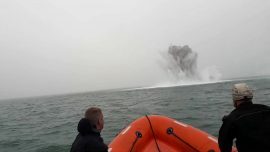 Vattenfall and the Danish Armed Forces have uncovered and detonated two English mines in the area of the Danish North Sea where the Vesterhav Nord offshore wind farm is being built. 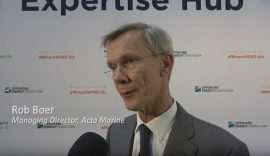 Becoming a leading player in the offshore energy arena means supporting oil and gas, offshore wind, and the emerging marine energy market says Rob Boer, Managing Director at Acta Marine. 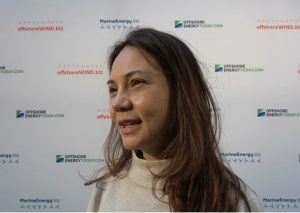 Turkey’s Cemre Shipyard has shared a video showing the launch of Ørsted’s service operation vessel (SOV) Wind of Change. 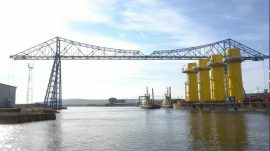 The 659MW Walney Extension offshore wind farm was officially opened on Thursday, 6 September, at a ceremony in Barrow in the north-west of England. 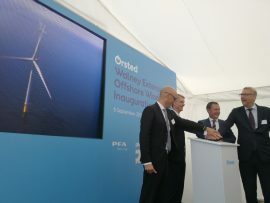 Teesside-based Wilton Engineering has sent off the first four transition pieces built for Ørsted’s 1.2GW Hornsea Project One offshore wind farm. 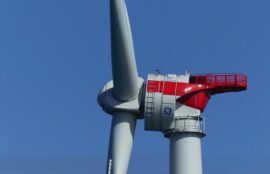 Turbine installation team working on the Merkur offshore wind farm has reached a halfway point on this 396MW project in the German North Sea. 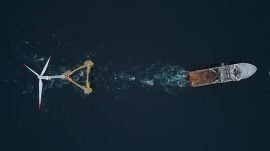 Norther N.V. has shared a video showing the transformers being lifted into the Offshore High Voltage Station (OHVS) for the Norther offshore wind farm located in the Belgian North Sea. 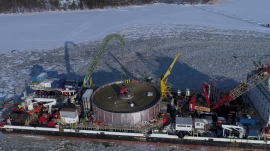 Prysmian has shared a video of its cable laying vessel Ulisse loading submarine power cables in Pikkala, Finland, in extremely cold weather and surrounded by ice. 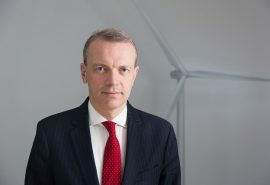 With the European Parliament recently voting on reforms to Europe’s electricity markets, aiming to modernise them and make them fit for renewables as part of the EU’s Clean Energy Package, this is still not the final deal, according to WindEurope’s CEO Giles Dickson. 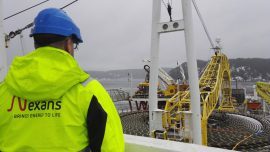 Nexans has completed the manufacturing of the 220kV offshore export cable for the Beatrice wind farm, with the final section now en route to the offshore site in the Outer Moray Firth, Scotland. 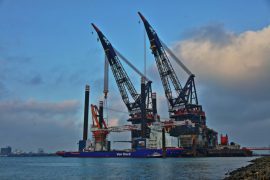 Following the installation of its 1,600-tonne crane onboard Van Oord’s vessel Aeolus, Huisman has shared a video showing a summary of the works. Following the installation of all 60 transition pieces at the Arkona offshore wind farm in mid-January, Jumbo posted a video showing the works that were completed ahead of schedule at the offshore wind farm site in Germany. Watch our Expertise Hub video interview with Philipp Stukenbrock, Head of Sales & marketing at 8.2 Consulting. 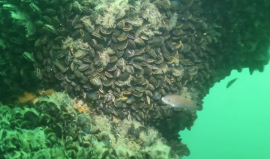 The American Wind Energy Association (AWEA) and the Special Initiative on Offshore Wind (SIOW), based at the University of Delaware, released a new video that features never-before-seen underwater footage of fish feeding at America’s first offshore wind farm, as well as testimonials from local recreational fishermen and charter captains. 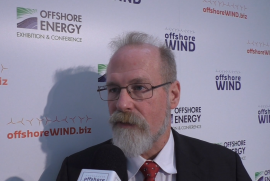 Aon is currently involved in several developments of offshore wind projects. Peter van den Brink, Aon Risk Solutions’ Industry Director for Energy and Marine Logistics in the Netherlands, sees challenges and opportunities in this fast-evolving market. 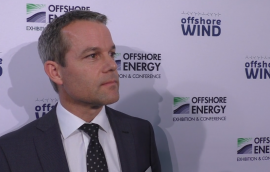 Offshore WIND Expertise Hub interview with Max De Feber, a student at the Delft University of Technology, Offshore & Dredging Engineering Department. 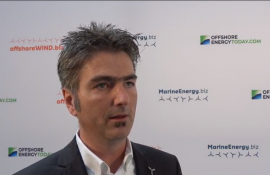 Offshore WIND Expertise Hub interview with Rene Bos, Project Engineer at Eneco. 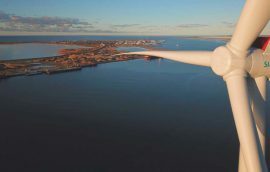 First wind turbines could be installed offshore India by as early as 2020, however, several pre-conditions must be met for this to be achieved, Steve Sawyer, Secretary General of the Global Wind Energy Council (GWEC) said. 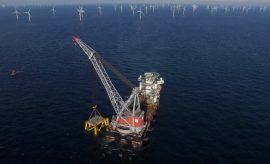 J. Murphy & Sons is currently installing the onshore portion of cables that will connect Orsted’s 1.2GW Hornsea Project One offshore wind farm to the UK grid. Aluminium nacelle covers are lightweight, they provide more space for the nacelle components, and are faster to produce at a lower overall cost, according to Sapa Extrusion, part of the Hydro Group.